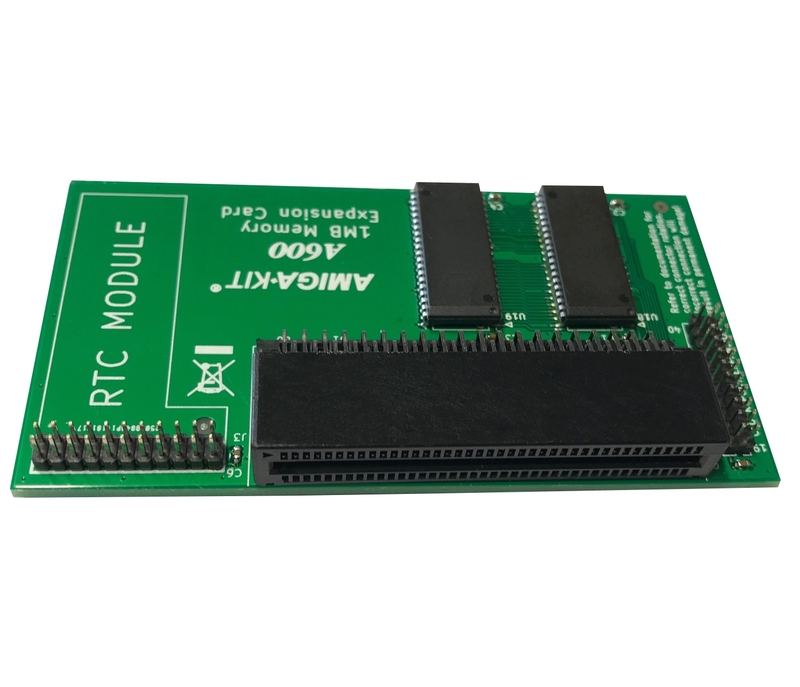 Boost your Amiga 600 chip memory to a full 2MB with this expansion. 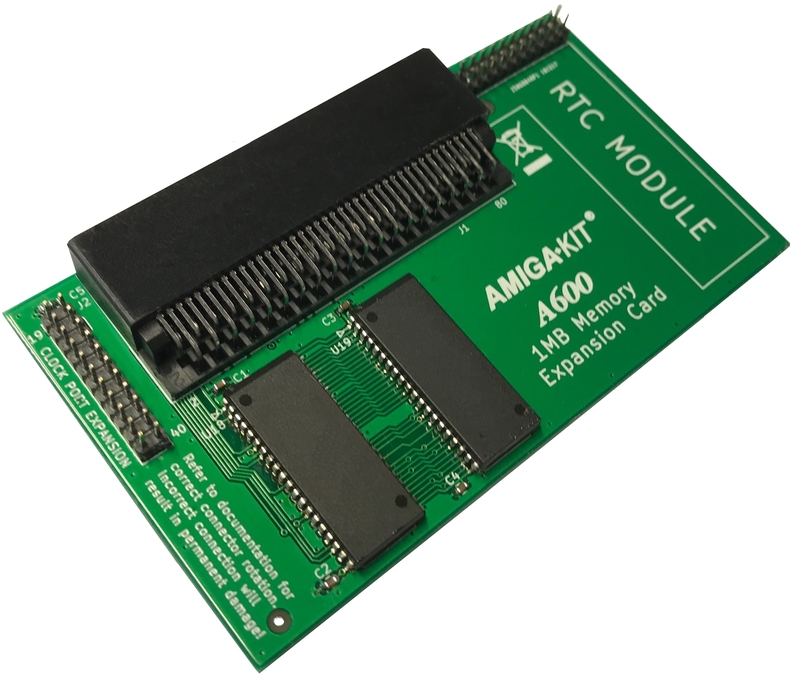 Installation is straight forward process: simply slot the A600™ memory expansion onto the trapdoor slot. The trapdoor bay is covered by a small plastic door on underneath the Amiga 600. 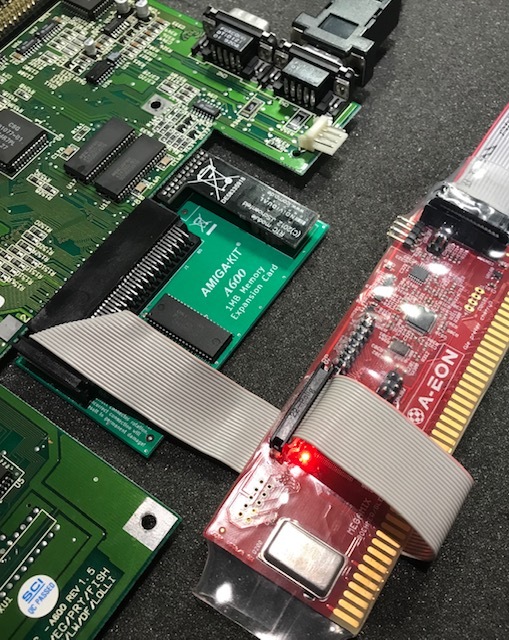 This will give the Amiga 600 more graphics memory which is useful for WHDLOAD games and most programs such as Personal Paint. High quality brand new product with great features at a low price. 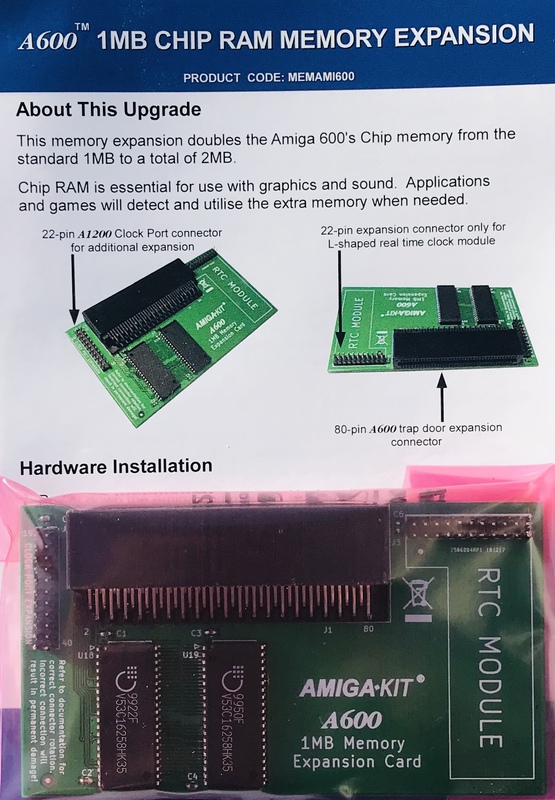 Stock Status: New from Amiga Kit, assembled in house. Please allow up to 5 working days for assembly and testing. 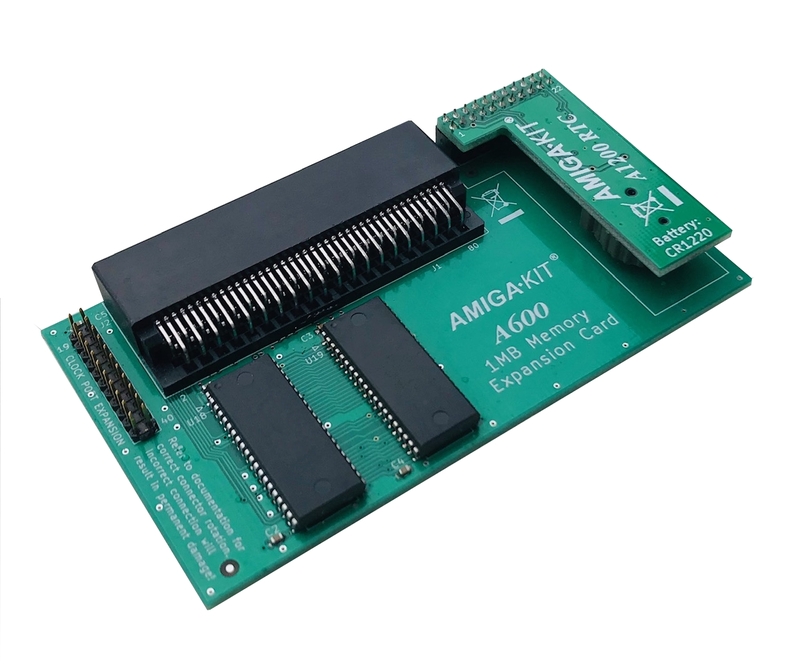 Copyright © 2004-2019 AmigaKit Ltd. A600 and A1200 are trade marks of AmigaKit Ltd.